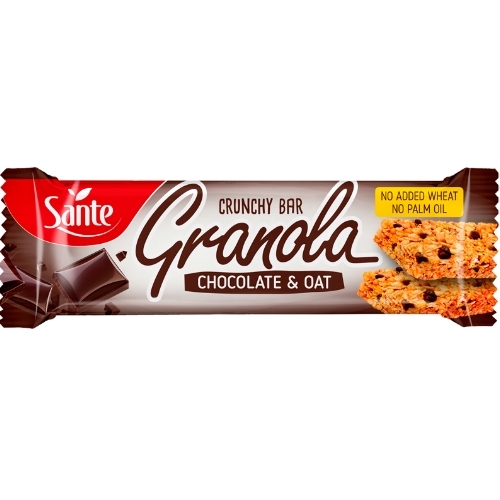 Granola bar is the highest quality granola bar of great crispiness – just like your favourite Granola Sante. It is not a simple snack! It contains beta-glucans that reduce the blood cholesterol level*. Thanks to the well selected ingredients and exceptional recipe, it is tasty and very nutritious. * It has been proven that beta glucans in oats, consumed in 3 grams per day, reduce the blood cholesterol level. High blood cholesterol is a risk factor in the development of coronary heart disease. There are many risk factors for this disease. The change of one of these factors can have a beneficial impact or not. A well-balanced diet and healthy life style should also be kept. 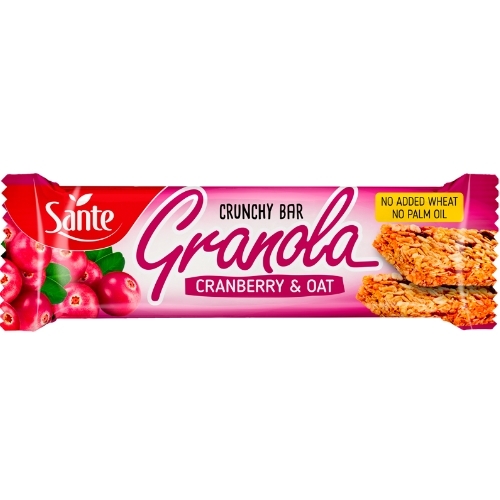 ** Regular consumption of one portion (2 bars of total weight of 40g) in a well-balanced diet and healthy lifestyle will help improve health. 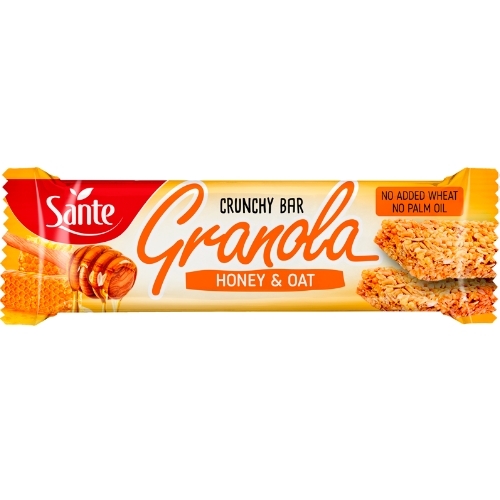 Granola bar is a perfect snack for adults and children. Nutritious, crispy, tasty! 2 delicious bars in one handy pack. You can take it wherever you go and bite it when you feel like a snack. * % of reference intake of an average adult.